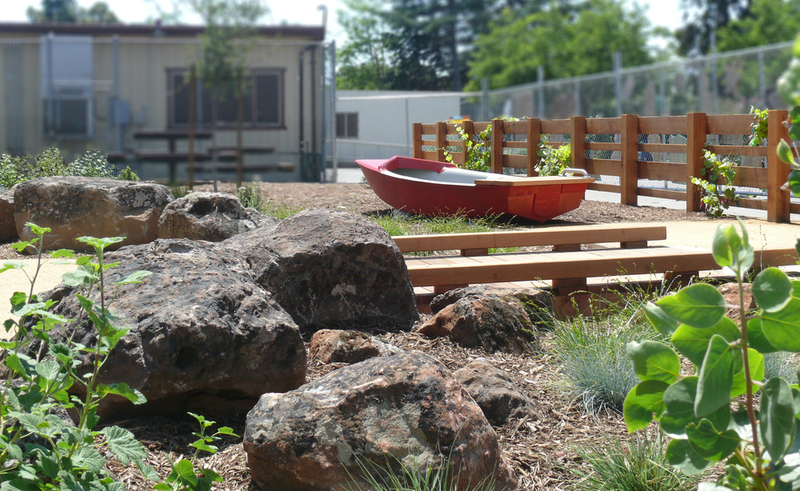 BAY TREE DESIGN worked for StopWaste to develop a portion of the yard at Sequoia Elementary School in Oakland. 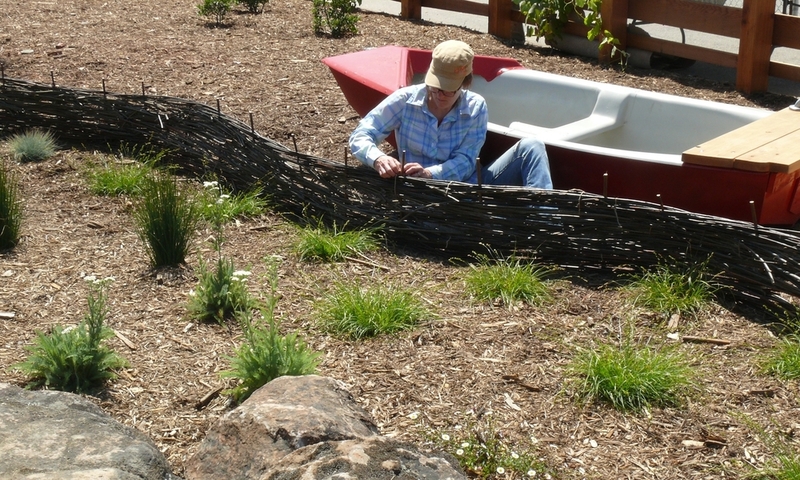 The Sausal Corner Nature Area resides within the conventional play yard but provides a variety of play types, beneficial insect habitat as well as spaces for outdoor instruction. This project was awarded a Proposition 84 grant by the State of California. The development and design of this Bay-Friendly rated project includes sheet mulching, locally sourced, salvaged and sustainable materials, and drip irrigation for the drought tolerant / native plant materials.